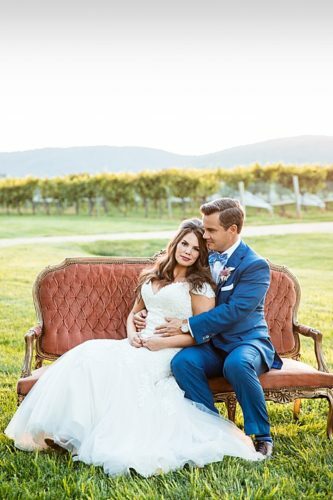 When we received this gorgeous wedding in our inbox, we couldn’t wait to share!! 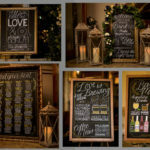 We love working at Keswick Vineyards, and when our clients hire vendors like Kate Phillips Events, Tourterelle Floral Design, & Harvest Moon – we know we’re in for a treat!! 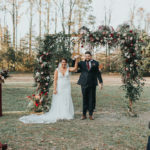 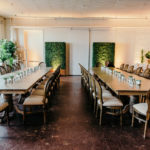 In addition to all sorts of wedding pretty, we loved seeing that this client and their photographer truly used their rental items to the max! 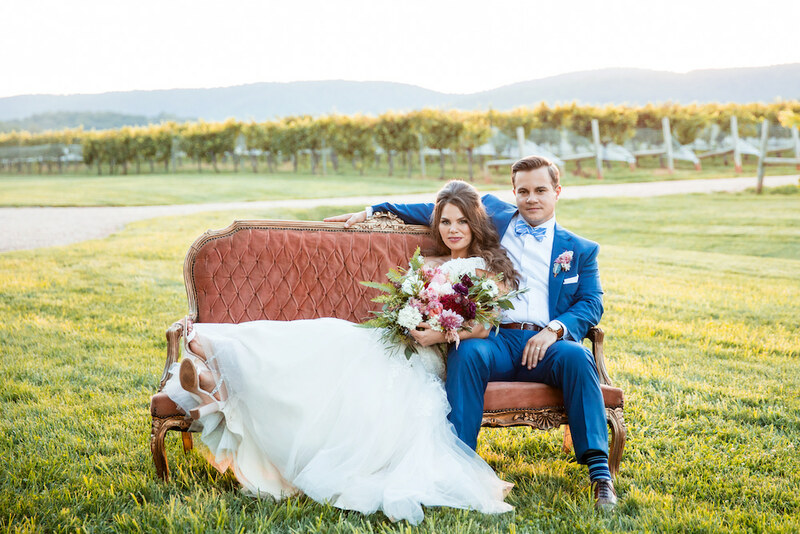 The Eleanor Settee is gorgeous all on it’s own, but they found a way to use it three different ways in their event! 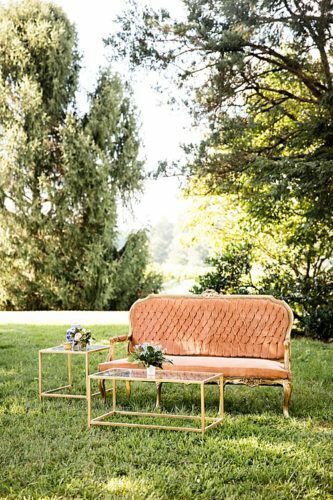 Like many of our upholstered pieces, this settee is perfect for a little lounge area – especially when paired with our Gold & Glass Coffee Table & End Table. 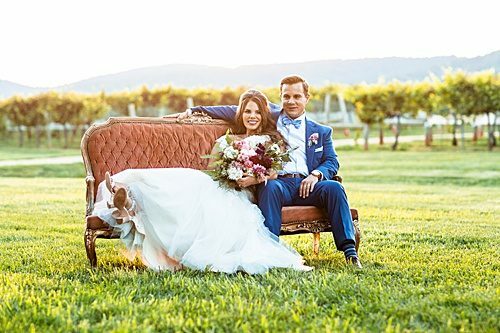 But before the guests get to enjoy the lounge, Kenica & Bryon took it out to one of our favorite spots at Keswick Vineyards and grabbed a couple gorgeous portraits with it!! 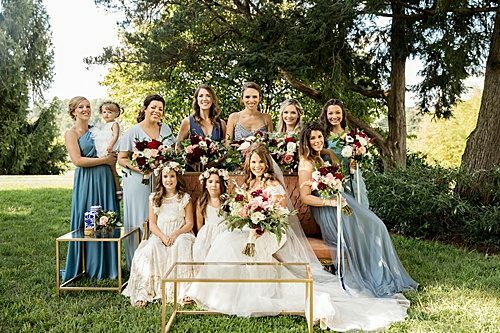 Not to be out done, the ladies in the wedding got in on the action as well! 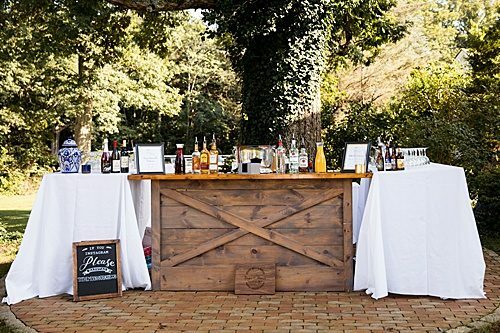 In addition to using the Eleanor Settee in so many ways, this vineyard wedding also featured a handful of other #pandjpretties throughout the reception, like our Hairpin Farm Tables for guest seating and our Marshall Bar for cocktail hour! 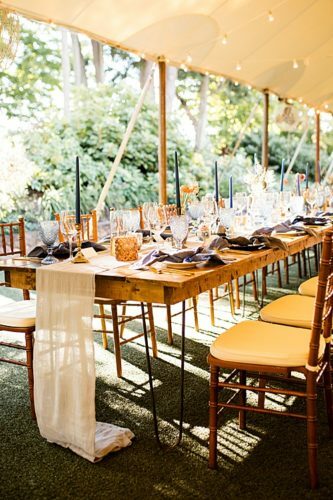 …and of course, we can’t forget about dessert! 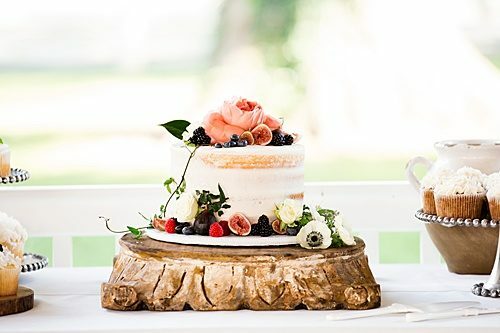 Our Rustic Cake Stand was the perfect little perch for this beauty by Favorite Cakes!